SayWhatNews: Hello Lisa. Thanks so much for sitting down and speaking with SayWhatNews. First tell us in three words who is Lisa Berry? Lisa: Loving, talented, and thinker. SayWhatNews: Lisa you were born and raised in Richmond Hill, which is just outside Toronto, Canada. What inspired you to become an Actress? Lisa: I’ve always loved entertaining, that’s always come naturally to me and never needed to be inspired to do it, but it was my friends and family’s belief in me that really made me pursue it as a career. I’m blessed to have such an encouraging support team around me. SayWhatNews: Some Actors are discovered by chance or cross-over from a different field in the Entertainment industry. Do you have any professional training as an Actress? Lisa: I studied in Toronto at The Randolph Academy for the Performing Arts and loved every minute of it. A great program! 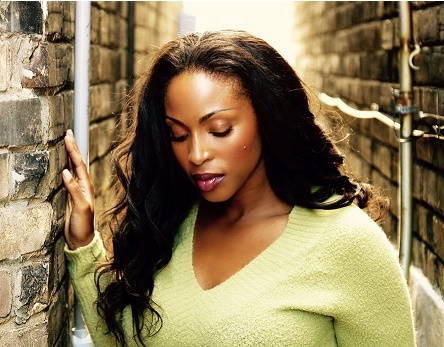 SayWhatNews: Lisa you were nominated for a Best Actress Award for the Black Canadian Awards in Toronto. How amazing was that to have your work honored? Lisa: Really amazing! I feel truly blessed, and while I didn’t get into this business for accolades, it is always a lovely honor to be recognized and supported for my work. SayWhatNews: I see you also received a Best Ensemble Dora Mavor Award Nomination which is Canada’s Tony Awards for your work in Young Peoples Theatre production of To Kill A Mockingbird. Please tell us about that moment when you learned this amazing news? Lisa: It was very cool to look down at my phone and see an email with the subject line that read “Dora Mavor Moore Nomination”. The stream of emails from the entire cast that followed suit was so great! We all loved doing that show so much and hated to see it close, so it was great to get that chance to celebrate it again. SayWhatNews: Lisa your TV credits include SyFy’s Lost Girl, TNT’s Silent Witness, CBC’s Cracked, CBC’s Mr. D and many more. Which genre do you find more challenging, Sci-Fi, Comedy or Drama and why? SayWhatNews: Lisa, you have joined the cast of Continuum for their 4th and final season. Tell us about your character? Lisa: She’s awesome, super cool and has an wicked costume, hell I want to be her for Halloween! SayWhatNews: Continuum’s 4th season will premiere on September 11th on SyFy in the USA and will premiere the week before on September 4th in Canada on Showcase. Can you tell fans what they can expect to see for the final season? Lisa: Well, I’m a fan of the show too and when I got the first script my mouth dropped. I don’t want to give anything away, but the fans are in for one hell of a ride, there are new characters and lots and lots of action! SayWhatNews: Alright, I guess us fans will have to wait for the September premiere and watch. Now, earlier this year, you joined the cast of Bravo’s hit cop drama 19-2 for its second season. How did you hear about the role? Lisa: I loved this show too, so when I got the audition I was really excited. My sister (who is not an actress but definite a TV lover) helped me prepare the role while my mother helped me get my Jamaican accent just right. Then I went in to read for it, got a call back and tested with a few different male actors to see who I had chemistry with and the rest is history. SayWhatNews: Lisa, this coming Christmas you are starring opposite of Lorie Loughlin in Hallmark TV Movie, Northpole 2. I just love Hallmark movies especially their holiday movies. What was your most memorable moment on set? Lisa: Best moment on set was chatting with Lorie in between takes about life and the business of acting. She was so great when fans would approach her for a photo or an autograph. Lorie was absolutely lovely to work with. SayWhatNews: Besides acting on the stage and the small screen, you have also starred on the big screen like, SAW V, Antiviral and The Colony (Laurence Fishburne & Bill Paxton). What was is like working with screen legends like Laurence Fishburne and Bill Paxton? Lisa: AMAZING!!! Laurence was an actor I’ve dreamed of working with since I saw his performance in ‘What’s Love Got To Do With It’. So, when our day to work together arrived, I was going to be calm and cool and leave him alone, but then we hit it off and had a great time, he was so down to earth and really funny! I didn’t have as much time on set with Bill Paxton, but the time we did share was also fun. SayWhatNews: Lisa you recently had a movie released starring alongside Alison Brie in ‘No Stranger Love’. Which do you prefer doing Movies or working on TV series? Lisa: love it all. Screen, TV, stage, YouTube... (lol). SayWhatNews: Wow, Lisa Berry you are a busy woman. When you have spare time what do you like to do to relax? Lisa: It took me a long time to figure out what I wanted to do outside of acting, because even when you’re doing what you love you need a break from it from time to time. I eventually found a passion in the editing room making motion comics from my favorite comic books and voicing them with my friends. And when I really need to recharge my batteries, I do a lot of yoga and meditation. 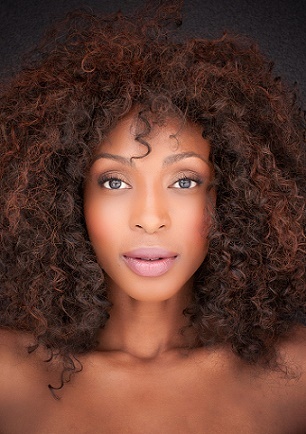 SayWhatNews: What’s next in the future for Lisa Berry? Lisa: Wow, so much happening, I’m going behind the cameras now, I’m doing more motivational public speaking and adding my voice to the online acting conversation with a new blog I’ve been writing. My new website will launch in September and I’m really excited to share it with everyone. I’ve learned so much over the years and my life experiences from losing 80lbs and keeping off, to changing careers, quit drinking, smoking, finding love and so much more. I truly believe that all of those experiences have given me the tools to be in a great position to help others, and that’s exactly what I plan to do.